Have You Met Miss Jones is an online shop stylists love to plunder for all sorts of homewares, particularly bone china goodies such as cockatoo and squirrel lamps and skycraper-shaped vases. 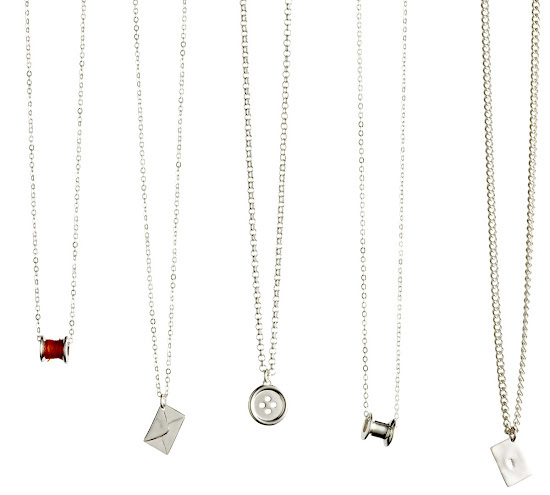 Now they've added a jewellery range designed by Australian Gareth Hughes aimed squarely at the stylish end of the make-do-and-mend brigade, or, at least, those who like the idea of it anyway. Each piece is handmade in Australia, made from either sterling silver, silver plate or 18-carat gold plate and priced from $60 to $299. I think it's pretty, but make up your own mind. I couldn't find the range on their website yet but it can't be far away as the press release I received today was marked for immediate release. Very cute, especially love the button rings!